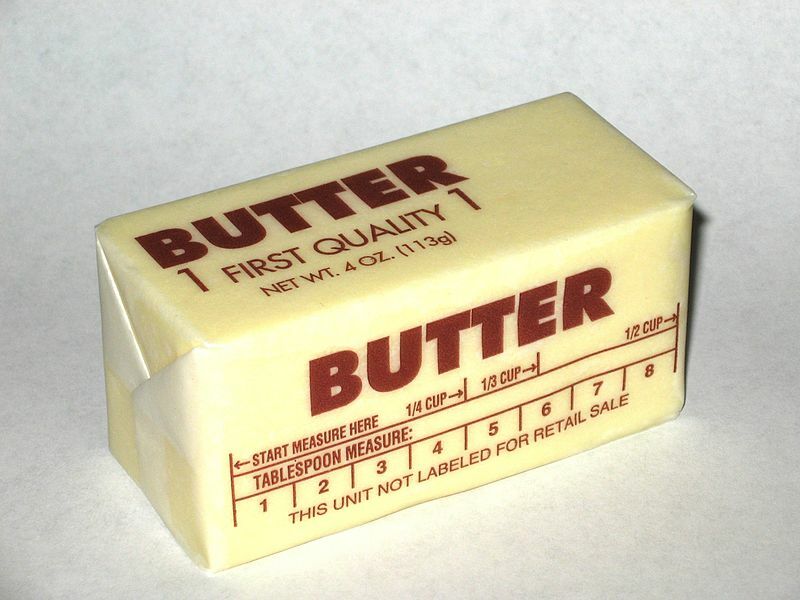 Butyrate (butyric acid) is a 4-carbon fatty acid from which butter gets its name. It is one of the most important short chain fatty acids produced in the gut by bacterial fermentation of fiber and resistant starch. It is important for detox processes. help prevent us from absorbing toxic/carcinogenic compounds. See also Butyric acid: an ancient controller of metabolism, inflammation and stress resistance (4), and Chris Kresser on Resistant Starch (5). 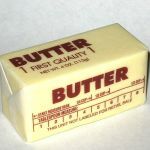 Butter is the most abundant food source (as tributyrin), and is one of the reasons I highly recommend butter over margarines and vegetable oil spreads. Butyrate capsules are best keeper in the freezer because butyrate has a strong aroma of rancid butter. Tributyrin powder: This is my preferred form (the natural form found in butter and the superior form of butyrate for digestion, absorbability, and bioactivity). I use ButyCaps brand; it has banana flavor added, and is held in micro-encapsulated granules, with a single serving in an individual packet (sachet). I dump the contents into my smoothie each morning. However, perhaps the best source of butyrate is from bacterial action on resistant starch, because it promotes the growth of this good bacteria which in turn maintain the health of the colon. Production of butyrate in the colon is a result of bacterial action (fermentation) on soluble fiber and resistant starch. See Butyrate-producing Bacteria…in Swine (6A) and in-vitro (6B). Do not heat or crush any form of butyrate. This entry was posted in Health and tagged butter, butyrate, tributyrin. Bookmark the permalink.